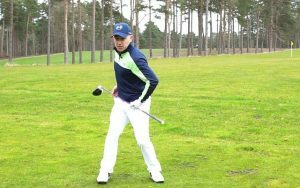 Too many amateurs bump their hips too far towards the target at the start of their downswing. 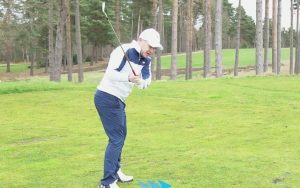 We all know that a good weight shift towards the target through impact is key, but crucially you still need to harness your power from the ground. 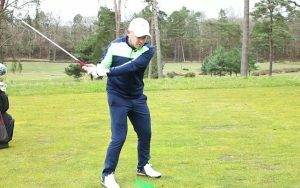 As PGA Professional Dan Whittaker explains in this video, a stable lower body is key here. 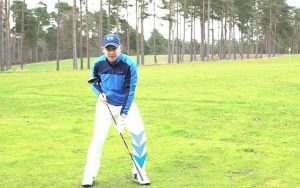 As you start the downswing you should feel your weight moving down into your left toe – this is a very powerful move you’ll see top players like Jordan Spieth make. To facilitate this, let your left knee rotate out a fraction as you start down. 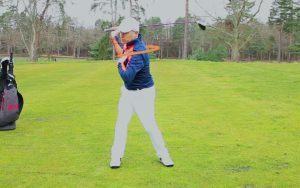 You should almost feel like you are squatting a little into your left side as you transition into the downswing. This is crucial to more power and accuracy.